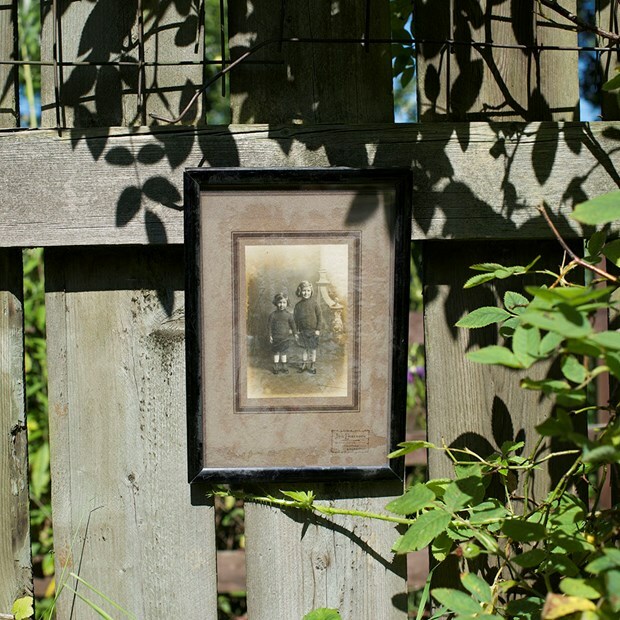 "My work explores ideas of memory, history, familial relationships and archival narratives. My practice uses photography, super 8, digital video, text, objects and found photographs to explore a range of themes and issues that look at linking my own personal experiences to broader social and political narratives. My work moves between the personal album and the social document.Throughout my work there is a strong interest in history and memory both of the individual family and its relation to wider culture. Working with multiple images, grid structures and the book format, allows me to explore the temporal and transient, the indexical and the archival nature of photography. The work can be read as sitting between fact and fiction, past and present, the real and the imaginary." 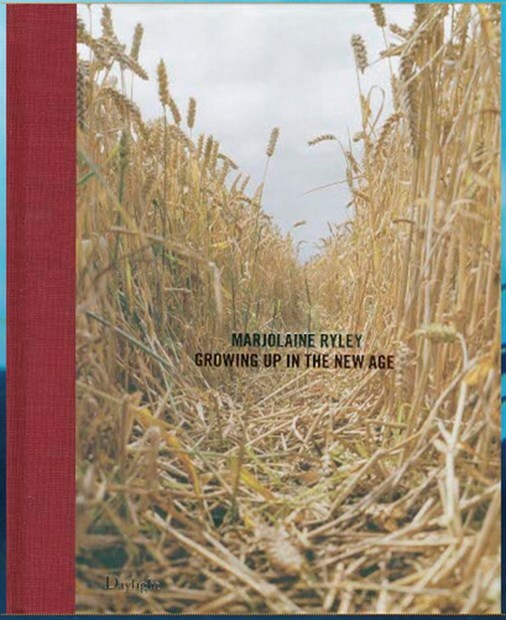 Marjolaine Ryley was born in London, in 1974 and studied for a BA (hons) in Photography at the Surrey Institute of Art and Design from 1993 –1996. She gained an MA in Photography from the Royal College of Art from 1998-2000. 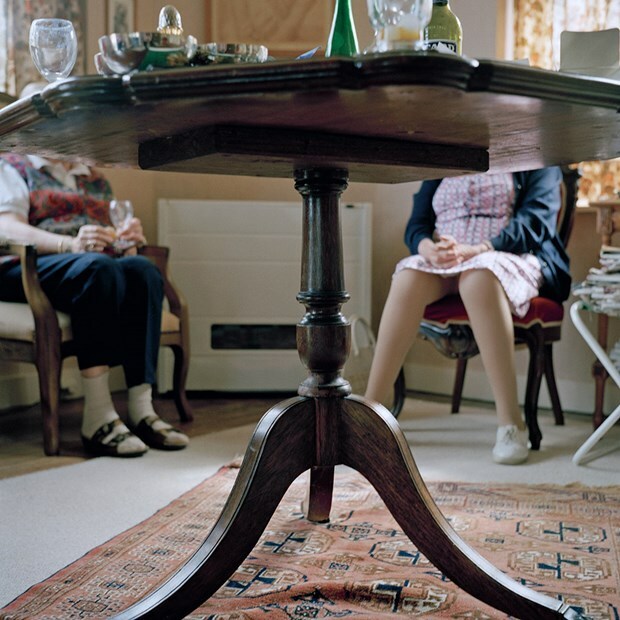 In 2005 Ryley received a Research Development Fellowship to undertake ‘The Last Picture Show’ a project looking at the changing nature of family photography in the digital age. The fellowship at the ‘Photography and the Archive Research Centre’ (PARC) at LCC, also resulted in a solo exhibition and colour publication; Field Study 7 ‘Residence Astral’ an archive of images taken over a twelve year period in her grandmothers apartment in Brussels. 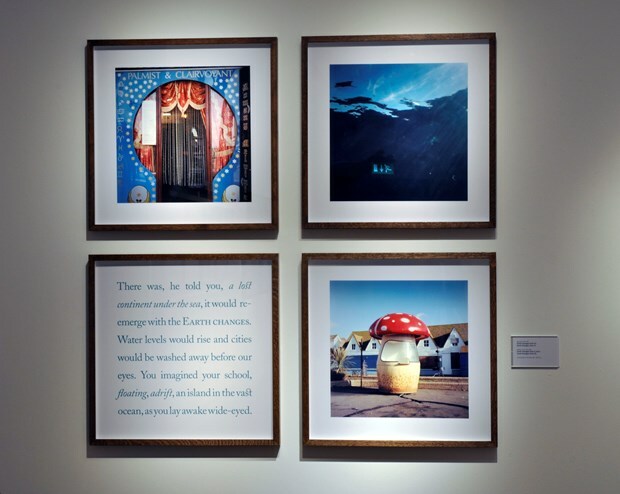 Marjolaine Ryley has exhibited and published her work both nationally and internationally including exhibitions at Impressions Gallery, Bradford, Street Level Photoworks, Glasgow, The Palacio des Artes, Porto and Wolverhampton Art Gallery, West Midlands. Publications include Villa Mona - A Proper Kind of House published by Trace Editions, and Growing up in the New Age an artist’s Monograph by Daylight books. Ryley is currently working on a body of work entitled ‘The Thin Blue, The Deep Red Sea’. Funded through Arts Council England and in collaboration with The Miscarriage Association Charity where she is currently Artist in Residence, this project examines the ways miscarriage and pregnancy loss have been explored (and ignored) in arts and culture. Her work is held in the collections of the V&A and Serralves museum. She is currently a Senior Lecturer in Photography and Video Art at the University of Sunderland. ‘Growing up in the New Age’: www.growingupinthenewage.org is an artist initiated research project that explores the counterculture’, from communes in the south of France, squatting in South London and ‘free school’ education to the many forays into all things ‘New Age’ set against the backdrop of social and political happenings of the era. Using a range of approaches including photography, film and video, writing, collecting, re-using archival materials and the web ‘Growing up in the New Age’ sets out to reconsider the social utopias of the 1960s and early 70s and what we might learn from them today. The work can be read as sitting between fact and fiction, past and present, the real and the imaginary. A new artists Monograph showcases this work. ‘Growing up in the New Age’, Daylight, NY. ‘The Thin Blue Line / The Deep Red Sea’: Using photography, moving image, creative texts and found materials I explore issues that look at linking my own personal experiences to broader social and political narratives. The Thin Blue Line The / Deep Red Sea is a new body of work exploring my experience of recurrent miscarriage and journey to motherhood. Drawing on my own and other women’s experiences, the images tell personal stories, while utilising the commonly shared imagery that women in different cultures use to represent miscarriage and loss. Constructing Utopias on Earth and Beyond. (Oxford, New York: Berghahn, 2014). I am working on ‘The thin blue line / the deep red sea’ – a project exploring miscarriage and pregnancy loss, funded through Arts Council England and in collaboration with the Miscarriage Association. 2005/07 Visiting Research Fellow at PARC (Photography and the Archive Research Centre) University of the Arts, London. This weeklong residency invited artists, writers, filmmakers and photographers to explore Elephant and Castle prior to the planned 1.5 billion-regeneration of the area. The ageing pink shopping centre and hectic traffic roundabout are now seen as unsatisfactory experiemts in modernity. This residency/workshop explored, investigated and documented the area around elephant and castle and culminated with a performance and exhibition in the East Room at Tate Modern. My work focused on Baldwin’s Herbal Remedies shop on the Walworth road where I work as a student. Experimental Spaces offered artists the opportunity to use the gallery space to develop their own work and work with other artists in full view of the public Experimental Spaces 2002 included Jonathon Gilhooly's examination of magic and illusionism, Sonja Wyndham-West building a labyrinth from old furniture and my work using photography and Super 8 film to explore the relationship between people and place. Braziers brings together up to 30 artists of all nationalities for 16 days to work, exchange dialogue and experiment in a way that is mutually beneficial. It offers an opportunity of participating in an activity removed geographically and conceptually from usual studio practice; in an environment where experiments can be made and leaps of imagination can occur. My work explored the communal environment and role of food in the community through video and photography. Disclosure, a term usually associated with psychology, relates to a process of revealing and sharing information, often personal and intimate, between one person and another. Taking that idea as a point of departure, this one-day symposium explores the ways in which photographic narratives are constructed and aim to communicate. Following on from the selection of my paper ‘The Thin Blue Line / The Deep Red Sea, Artists autobiographical explorations of Pregnancy Loss’ for the Family ties conference event at RGS in 2012 I have been invited by the Family Ties group to talk at a seminar event in June and to participate in a touring group show. 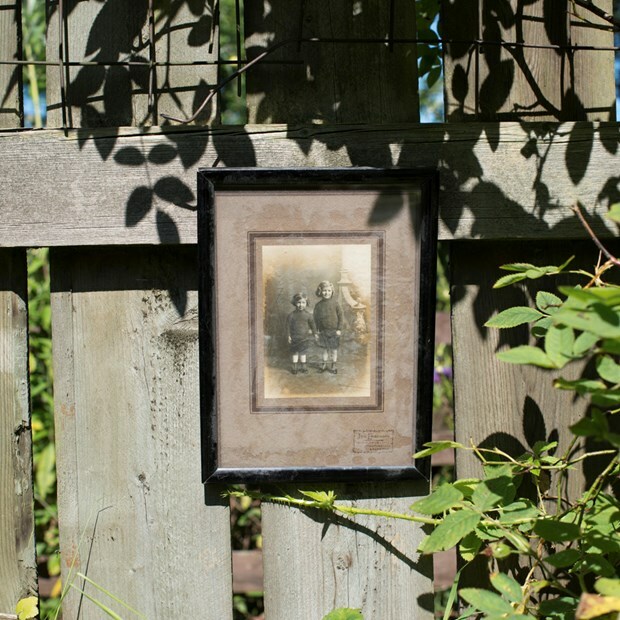 The show includes key artists working in the filed of family photography such as Rosy Martin and Trish Morrissey. 2011 Alternative Worlds The institute for Germanic and Romance studies (University of London School of Advanced Study). In an attempt to escape the doom and gloom of the economic crisis the seminar’s theme for 2011 is ‘Alternative Worlds’. The aim is to examine the dreams, plans and hopes, but also the nightmares and fears reflected in utopian thinking since 1900 in the Western hemisphere. My talk will be on the project ‘Growing up in the New Age’. This was a multi-disciplinary one-day symposium where artists and designers from many disciplines explored sometimes very different interpretations of what it means to ‘mark space’. Some considered issues of gendered space, belonging and displacement, others interrogated the meaning of virtual and physical space: how we occupy space and how we move through it. My talk focused on my art practice in critical context exploring in particular how people ‘mark space’. Including presentations on the Peterlee Project by Stuart Brisley and North East Mining archive by Stuart Howard. Co-ordination of conference in collaboration with Michelle Allen and Interface, University of Ulster as part of the series of events; Performing the Archive. I also gave a paper on archives and artists working practices. This one-day event looked at family Photography. My talk ‘Dirty Linen, Nausea and Belgian Waffles’ explored the question “Can a subject ever be too personal?” through looking at my own work within the context of family and drawing on examples from arts and popular culture to examine these issues. 'Art in Boxes' was a series of seminars for invited speakers and MA and PhD students held at PARC. My talk asked, “Is the way photographs are collected and stored changing forever in the digital age? How will we examine a legacy left on-line a personal collection out there in the ether? Is this indeed the last picture show?” The talk also explored ideas of the miniature and the contained through Bachelard’s “Poetics of Space’.